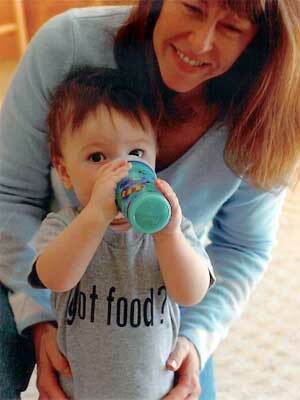 One-year-old Chad with his (fairy) godmother Susan. Picture taken and contributed by Chad's mother Deanne. April 2005.